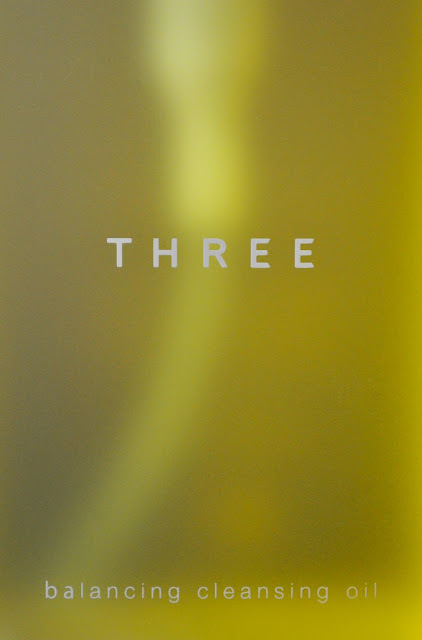 THREE's philosophy of balance of mind, body and skin permeates throughout the entire brand. Yet, it's ethos is particularly evident in it's skincare line. Through the years (and tons of THREE purchases), I've probably tried about three months worth of the Balancing Cleansing Oil sample packets. After finishing the SK-II's Facial Treatment Cleansing Oil, it was finally time to purchase a full size bottle. My aesthetic is far from being minimalistic, but that doesn't mean I can't appreciate the smooth surface and edges of the simplistically sleek, semi- transparent frosted bottle. THREE's Balancing Cleansing Oilcleanser has an ambrosial bouquet of lemon and rosemary, giving it an invigorating aromatherapy effect. Primarily, I use the Balancing Cleansing Oil to remove my makeup; btw, it does a fantastic job at dissolving the most stubborn waterproof makeup. With dry hands, I massage (in circular motions) 2 pumps onto dry skin, beginning at the center, working outwards, then use one more pump on the eyes. After a few minutes, I lightly wet my hands and continue to massage, emulsifying the product. After rinsing, all traces of makeup are gone and my face feels firm and looks clear and toned. 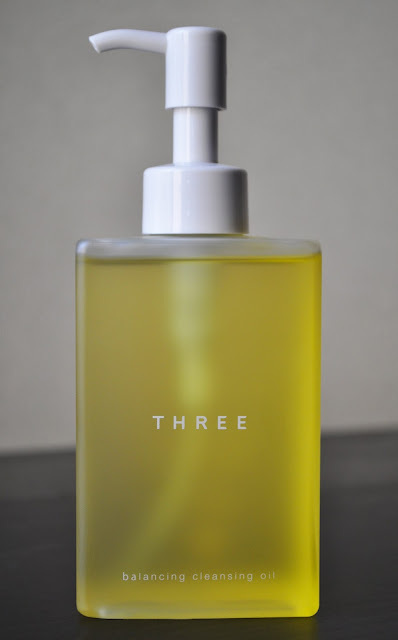 THREE's Balancing Cleansing Oil retails for 4,320 yen (200ml). F is For FREE, But It's Also For Fantastic! Tarina Tarantino's Star Spangled Sale!